Students traveled from local communities La Junta, Las Animas, Swink, Rocky Ford, Wiley and Cheraw. They attended tours from Jan. 23 to the 25. The students visited La Junta’s industrial park and stopped by Oliver Manufacturing. In addition, they toured DeBourgh Manufacturing Co. The field trips give students exposure to manufacturing facilities and the careers they provide. The kids toured the entire factory and main offices. They saw how Team Oliver assembles its machines and what office life is like for HR, Accounting, Marketing and Sales. 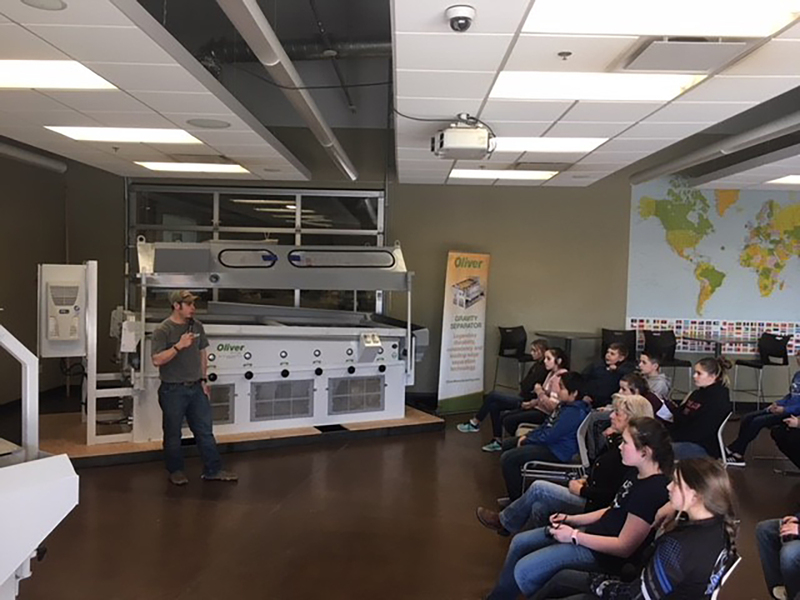 The grade school tours are a great way to demonstrate to students the career opportunities that rural Southeast Colorado has to offer. 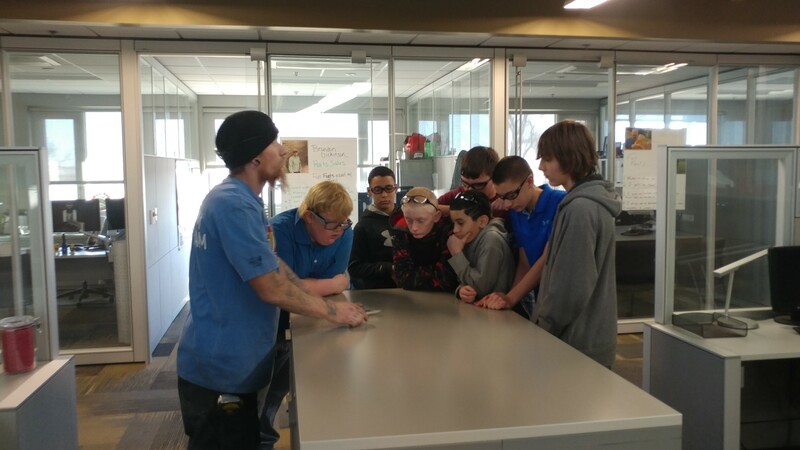 The tours are conducted in coordination with the Southeast Colorado Manufacturing Partnership, which has provided tours to approximately 850 students annually since 2015. Kris Sutovich teaches 7th graders about seed samples. Overall, Oliver’s facility seemed to impress most of the 7th graders. As Lathrum, Sutovich or another employee directed each tour, they stopped at each department to hear about relevant careers. Of course, no tour of Oliver would be complete without exploring President Brian Burney’s office. And each student even had the chance for exactly that! Team Oliver cares a lot about its community and the future of its workforce. And we’re always open to giving visitors a tour.